Call any mobile or landline for free in any country in the world, with WhatsCall, a revolutionary new way to communicate. Available on Google Play and Apple App Store from today, WhatsCall is the brainchild of Cheetah Mobile, the world leader in utility and mobile security app development. A caller simply downloads the app, registers for the service, and is instantly ready to connect with the world. The recipient receives the call through their phone network just like a regular voice call, so there’s no need for them to download the app or have a data connection. Callers earn free airtime credits if they log-in everyday, watch advertising, invite friends or take part in daily tasks. WhatsCall is powered by advanced voice coding and decoding technology, and uses an IP-PSTN for high quality phone calls. David Wu, VP of global app marketing at Cheetah Mobile, comments: “The cost of calling overseas landlines and mobiles is prohibitively high for many people. 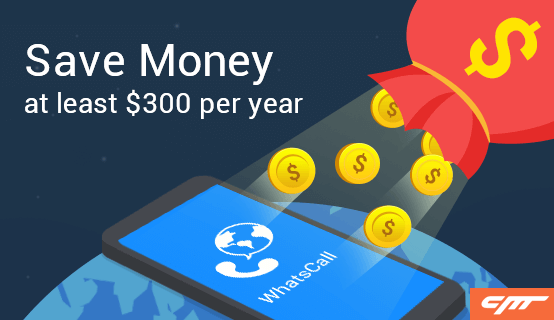 WhatsCall is free if users engage with brands and collect call credits. Cheetah Mobile is proud to unveil WhatsCall, which will change how people communicate with each other across the world. “Traditional messaging apps, and other tools that enable us to talk via the internet, rely on data connections from both parties and smartphone notifications being switched on. WhatsCall doesn’t require a recipient to have a data connection, the same app, or live notifications. While three quarters (73%) of the world’s’ population has a mobile phone, nearly a third (31%) are without a 3G or LTE connection so cannot use data for calls or messaging. Furthermore, nearly three quarters (71%) of the world’s population in rural areas are without a mobile data connection. WhatsCall doesn’t require the recipient to have a data or WiFi connection, which means families and friends can contact each other anywhere in the world – for free. WhatsCall for Android comes complete with a Caller ID function thanks to CM Security, one of the world’s top smartphone security apps. The feature enables users to scan, identify and block any incoming fraud or harassment calls.